Ernesto Guevara de la Serna (June 14, 1928 – October 9, 1967), commonly known as Che Guevara or El Che, was an Argentine-born Marxist revolutionary, medic, political figure, and leader of Cuban and internationalist guerrillas. As a young man studying medicine, Guevara traveled roughrough[›] throughout Latin America, bringing him into direct contact with the impoverished conditions in which many people lived. His experiences and observations during these trips led him to the conclusion that the region's socio-economic inequalities could only be remedied by revolution, prompting him to intensify his study of Marxism and travel to Guatemala to learn about the reforms being implemented there by President Jacobo Arbenz Guzmán. 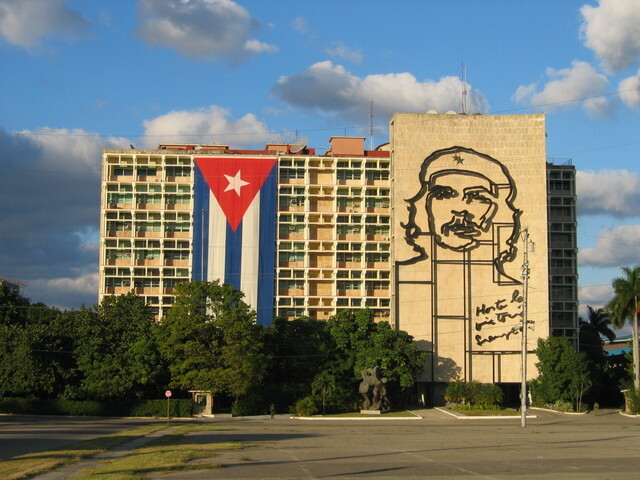 Some time later, Guevara joined Fidel Castro's revolutionary 26th of July Movement, which seized power in Cuba in 1959. After serving in various important posts in the new government and writing a number of articles and books on the theory and practice of guerrilla warfare, Guevara left Cuba in 1965 with the intention of fomenting revolutions first in Congo-Kinshasa, and then in Bolivia, where he was captured in a military operation supported by the CIA and the U.S. Army Special Forces. Guevara was summarily executed by the Bolivian Army, in the town of La Higuera near Vallegrande on October 9, 1967.